The unclassifiable Indonesian duo are the focus of a new VICE documentary. We called it last year: Senyawa are going to be big. The duo fuse together death metal, vocal operatics, traditional Indonesian music and experimental electronics in a manner that really explodes during their commanding live shows. 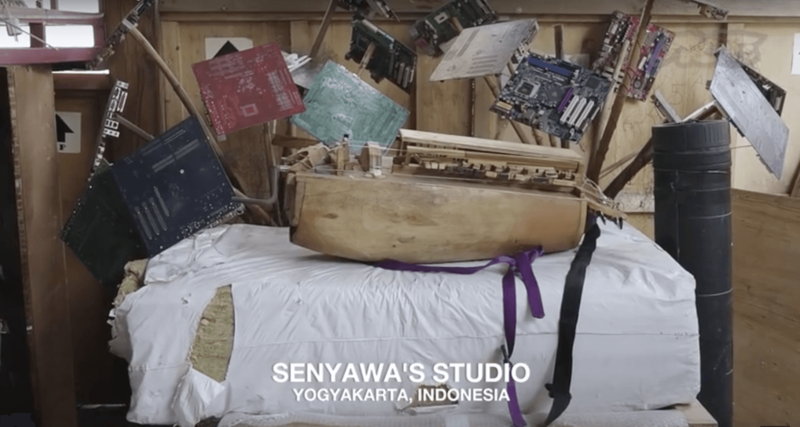 Their rule-breaking approach to music has been captured in this profile documentary by VICE Meets, which includes footage of instrumentalist Wukir Suryadi’s homemade and organic looking instruments. Read more: Senyawa were a highlight of Unsound 2016. Read the full festival review here.